I adore this charming Bluegrass album with a passion I reserve for a chosen few. I Draw Slow should be megastars in Ireland because of ‘Redhills’. 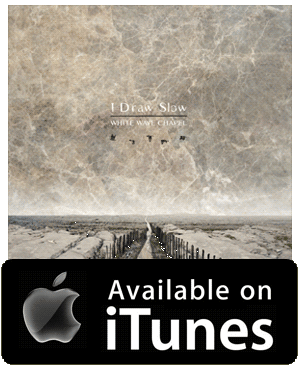 Filed under the category ‘Bluegrass’; Dublin’s I Draw Slow are an amazing band that I can’t wait to see live. Their second album ‘Redhills’ mixes together folk music, Irish traditional arrangements, wonderful harmonies and charm to become a real contender for my album of the year. My favourite track by some way is the charming ‘Goodbye Beulahland’ which send shivers down my back on every listen. My favourite moment on the album is the outro of ‘Meditation Waltz’ in which the bassline performs the meditation waltz. Other highlights for me include the single ‘Goldmine’ and the excellent ‘Honeymoon’ featuring just guitar and vocals. This brings me to the big selling point of ‘Redhills’ for me. While the music is wonderful it’s the vocals of ‘Louise Holden’ along with the songs often heartfelt vocals which elevate the band and album to heights other bands rarely get near. I love the deep lyrics of songs like the already mentioned ‘Goodbye Beulahland’ where Louise sings about “… coming back to the heart of everything that is wrong in this world ….” and the sublime haunting lyrics of ‘Cry Help’. I’ve written before about the magic felt from finding the right album to connect with at the right time in your life. 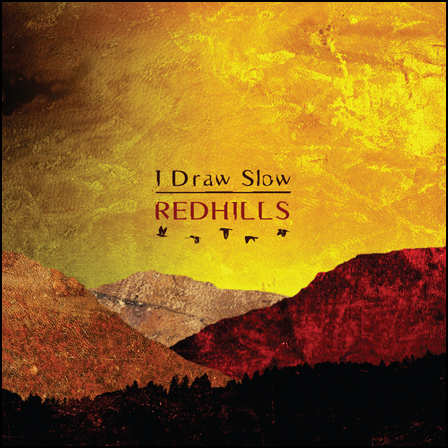 As this hobby [the blog] has developed through the years the magical connection occurs with more regular frequency and I have to come up with new adjectives to describe an album of majestic quality that is ‘Redhills’ by I Draw Slow. Somtimes I just wanna say it’s fabulous ….. go out and find it, listen and adore!